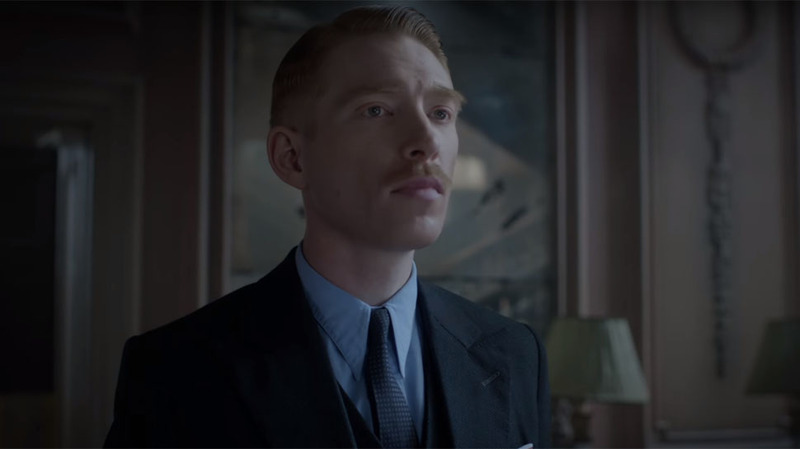 An adaptation of Sarah Waters’ novel, The Little Stranger is a ghost story without a ghost – perhaps – and a mystery that remains a mystery once the movie has ended. Whether or not this is a good thing will be down to the individual, as Lucinda Coxon’s screenplay deals in ambiguity and narrative sleight-of-hand at several key moments, but what it does mean is that the mystery of what is happening at Hundreds Hall plays out like a riddle that no one is meant to unravel. There are clues to be had, and some of what is shown can be taken at face value, but the script, in conjunction with Abrahamson’s measured, calculating direction, is more concerned with atmosphere and mood than with providing answers. 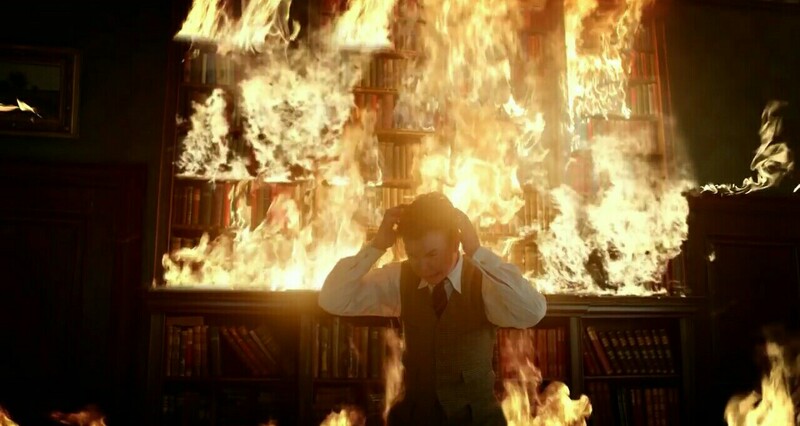 This makes for a somewhat disconcerting viewing experience as scenes that build tension dissipate quickly once they’re established, and Ole Bratt Birkeland’s precision-tooled cinematography – always looking, always probing into the house’s darkest nooks and crannies, and its past – invites observation rather than immersion. There’s a detachment here that stops the viewer from becoming too involved with the Ayres family and their fears, and this despite very good performances from Wilson, Poulter and Rampling as the beleaguered trio. The reason for all this is the movie’s main theme, that of the rise of post-war socialism and the weakening of the power and influence once wielded by the landed gentry, here represented by the Ayres’ financial downfall, and Faraday’s barely concealed contempt for them. His pursuit of Caroline is less about love than about the need for possession, to have, finally, what he’s wanted ever since he was a child and saw Hundreds Hall in all its former glory. He’s the classic outsider: envious, ambitious, and determined to be on the inside. As played by a never better Gleeson, Faraday is supercilious and self-contained, yet brimming with indignation at the way in which the Ayres’ have let the Hall decline. Coxon and Abrahamson recognise the co-dependency that exists between Faraday and the Ayres’, and it’s this approach, and the way that it develops, that is ultimately more intriguing and compelling than if the movie was merely another haunted house tale. Abrahamson maintains a keen sense of unease in terms of Faraday’s motives, and as the threats to the Ayres’ become more tangible, a more human cause comes to the fore. But again, there’s that overwhelming ambiguity to keep the viewer on their toes, and wondering if what they’re seeing and hearing can be trusted. 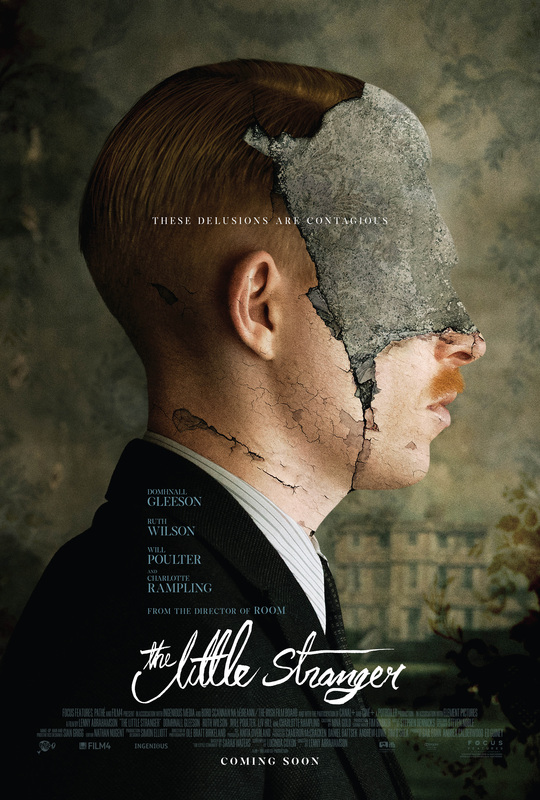 Rating: 7/10 – some viewers may find The Little Stranger hard going as Abrahamson adopts an often glacial pace to the material while providing deft psychological insights into the characters and their social positions; with a pervasive sense of time and place, and an air of impending tragedy, it’s a movie that doesn’t trade in the accepted tropes of the genre, but instead, warps them to its own advantage.